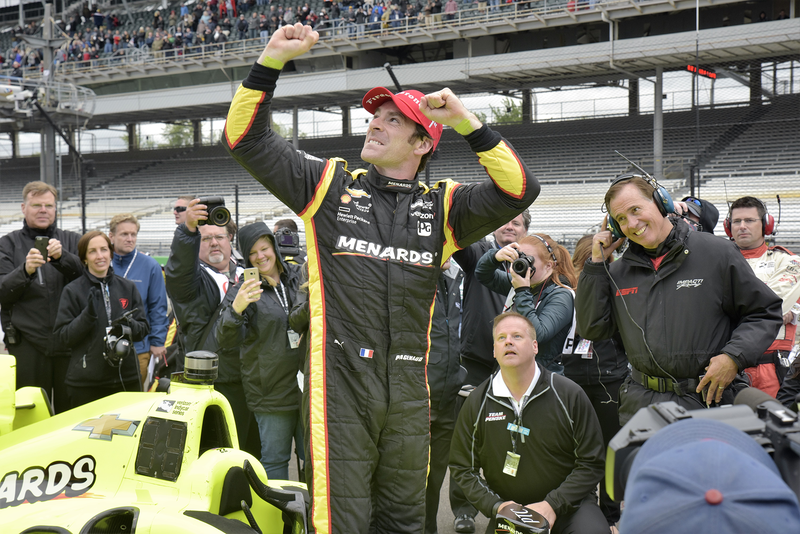 Simon Pagenaud, Winner of Angie’s List Grand Prix of Indianapolis | A.M.P.S. The No. 22 Menards Team Penske Chevrolet started on the pole, fell to third midway through the 82-lap feature then took the lead again on Lap 62 after a quick service on the fast Chevy allowed Pagenaud to surge to the front for good. He led a race-high 57 laps. 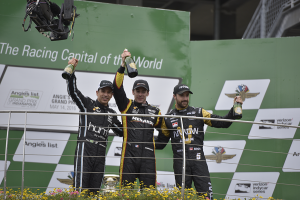 James Hinchcliffe, Graham Rahal and Charlie Kimball rounded out the top five. Conor Daly, of Noblesville, Indiana, finished sixth after leading 14 laps midway through the race.